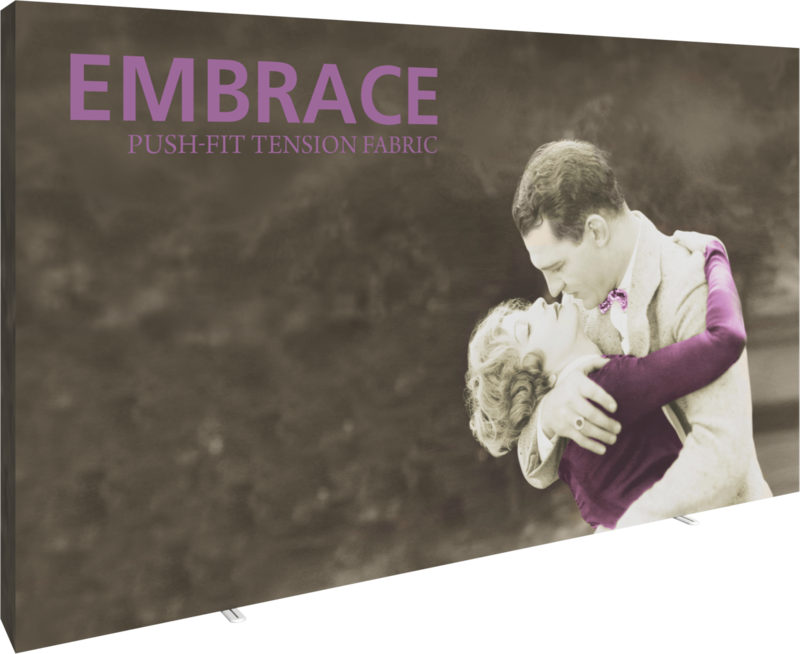 Embrace Push Fit Fabric Display - Now available in backlit! 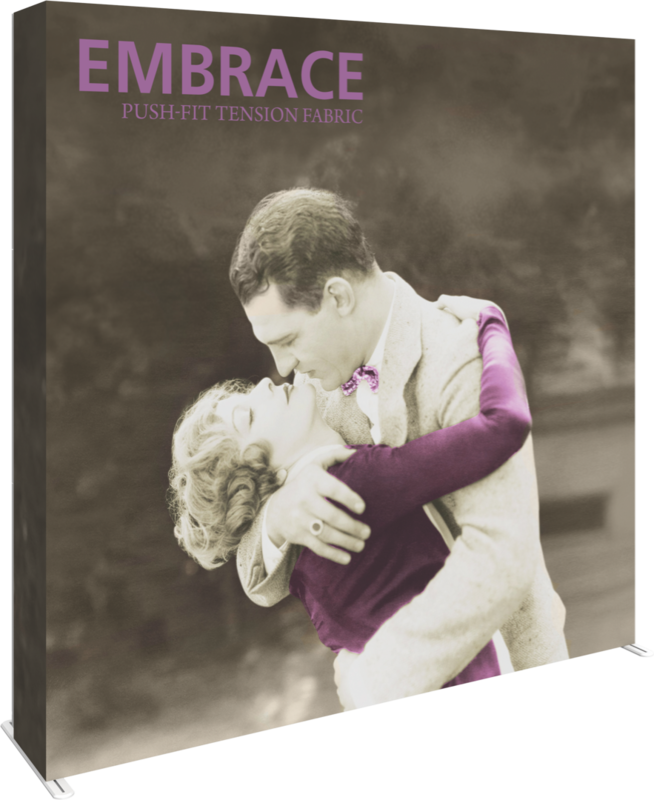 Our Embrace series is an eXpo eXpert favorite due to its sleek design, versatility and minimal effort to set up! The push fit graphic gives the wall a crisp, clean cut edge and the fabric absorbs glare, giving the display a high quality look. The hardware expands and retracts in seconds! And now, you can add LED lights to convert you display into a Backlit Wall!! 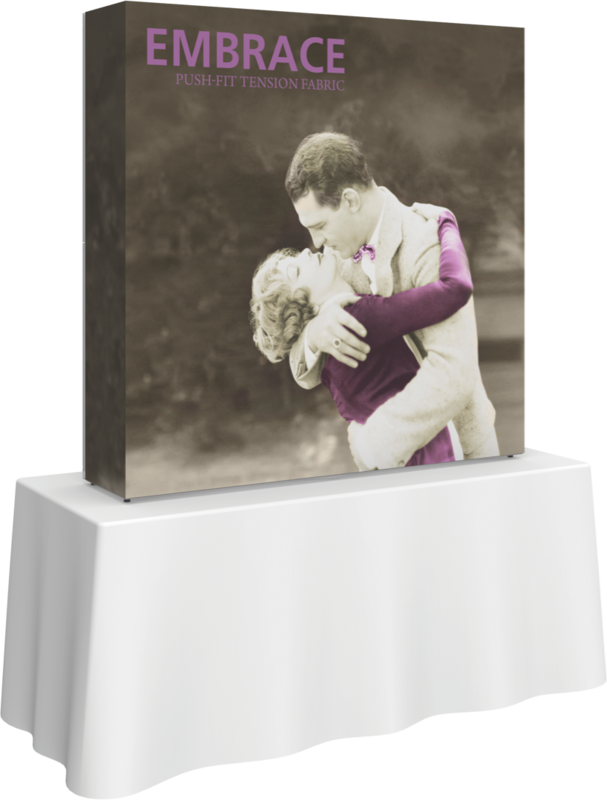 All Embrace displays are eco-friendly, come with a carry case and have a lifetime warranty on hardware. 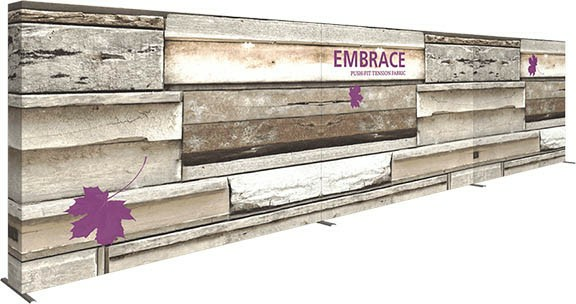 The embrace is a modular wall, which means you can start small and add on units to go wider, or higher, or more! Attending various shows this year that warrant different booth sizes? 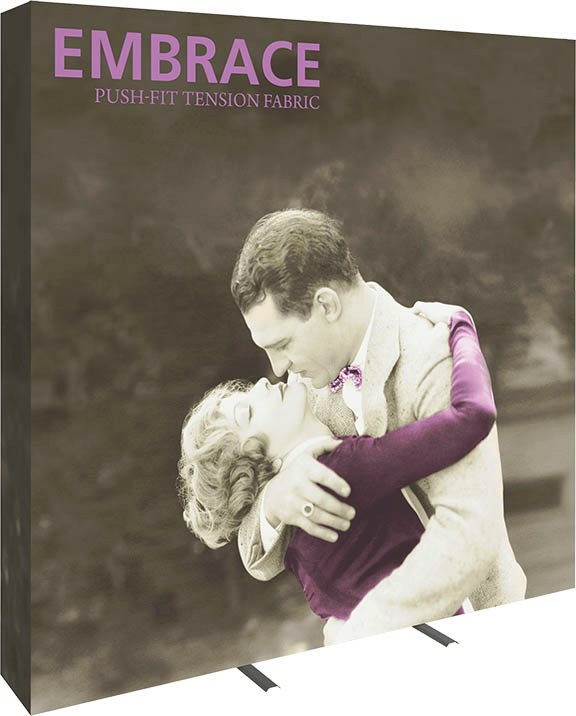 Embrace is the answer! The display pictured below is a 30ft wall, made up of three 10' walls! See the difference a little light makes! 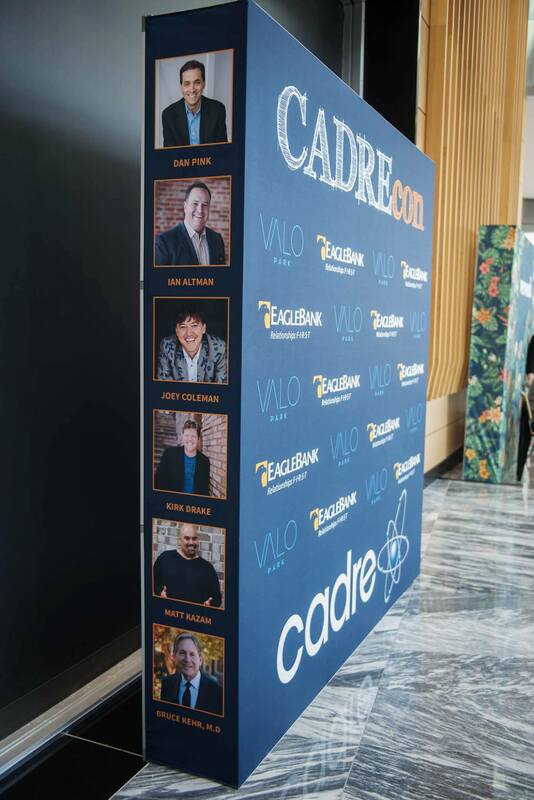 Embrace back wall displays are now available with LED back-lit technology, turning your push-fit back wall into a glowing work of art, attracting attention from all over the event. Use the side panels for extra marketing 'real estate'! The wraparound graphics make for a great spot to reinforce your message - don't waste this precious graphic space! The technical term for a push-fit graphic is SEG, which stands for Silicone Edge Graphic. We sew a bead of silicone around the edge of the graphic and is slides into a channel on the frame of the display, creating a tight, wrinkle free fit and a crisp edge. Easily connect units to form walls, rooms and unique spaces! 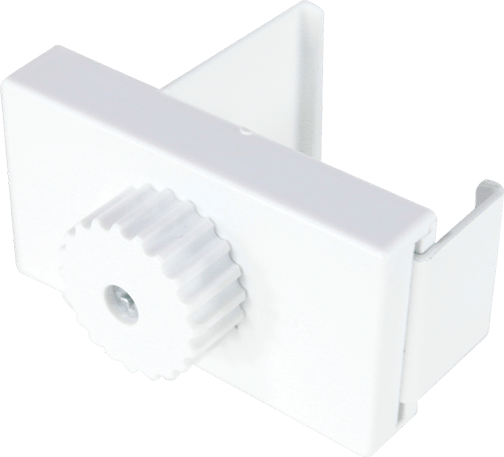 To build the wall, you simply connect your frames with the adjustable clamps shown below. No screws or nails required! The clamps allow a secure attachment to grow your display into a large wall or even into L shape to create rooms. 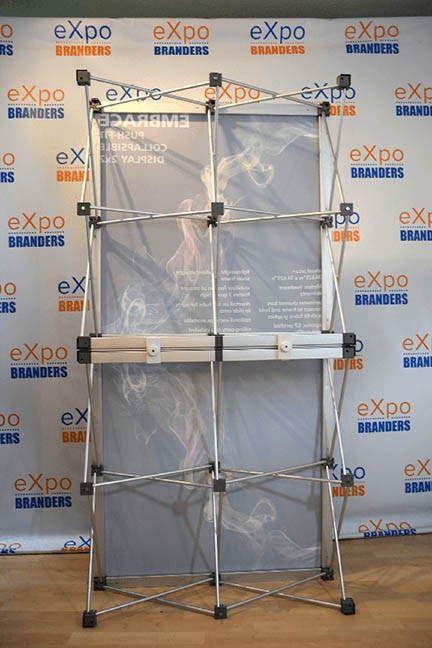 Building your back wall isn't limited to building wide - make your display the tallest at the trade show by building up! The higher your display, the more you will stand out at an event. 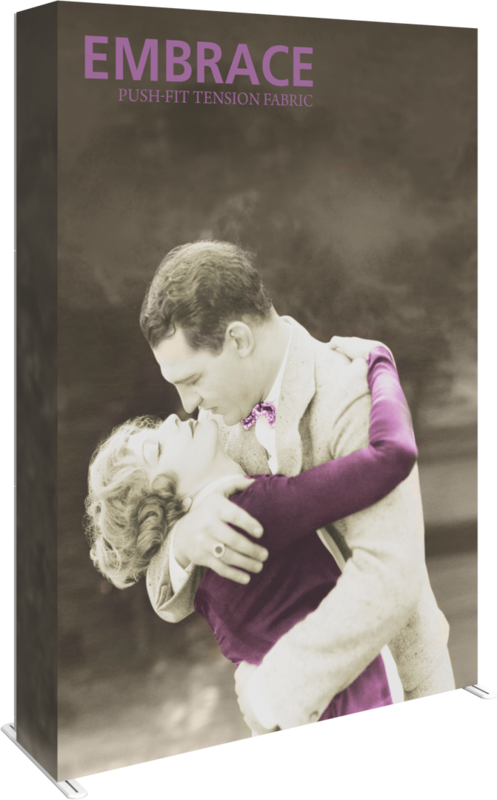 We can wrap the graphic all the way around for a seamless display, or strategically design the graphics so they come together beautifully when using one unit or more. Making your booth an L shape will give your space an "enclosed" feeling without breaking any trade show rules! Hint: a great solution for private rooms at your next expo! 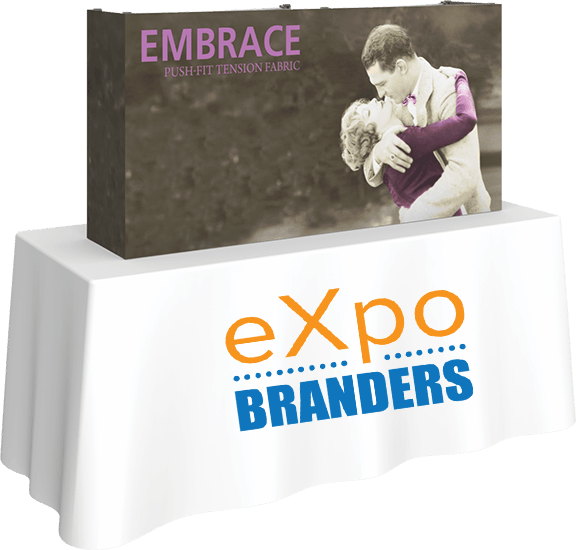 We also offer the Embrace Series in Table Top and Banner sizes - check them out! Looking for an economical way to stand out from the crowd? Try a table top display! Standard or Backlit! What is a "push fit" or SEG graphic? 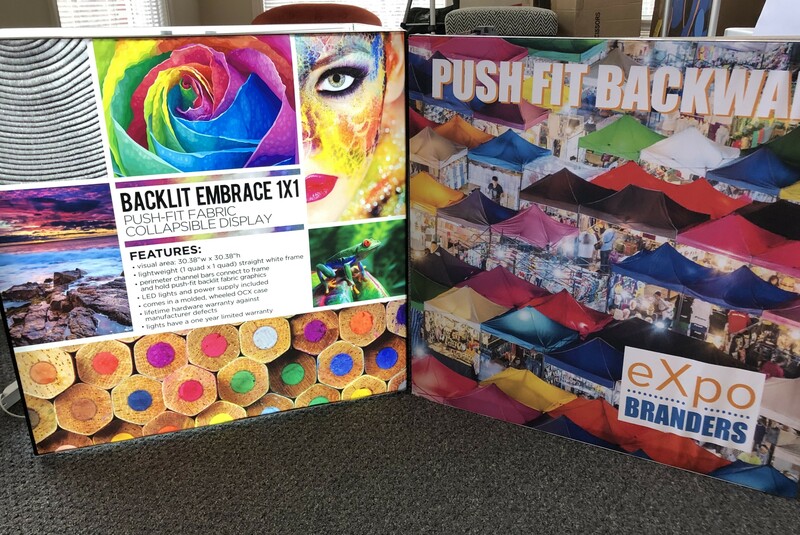 Silicone Edge Graphics (SEG) or Push Fit graphics are the newest technology in lightweight, easy to assemble trade show displays. 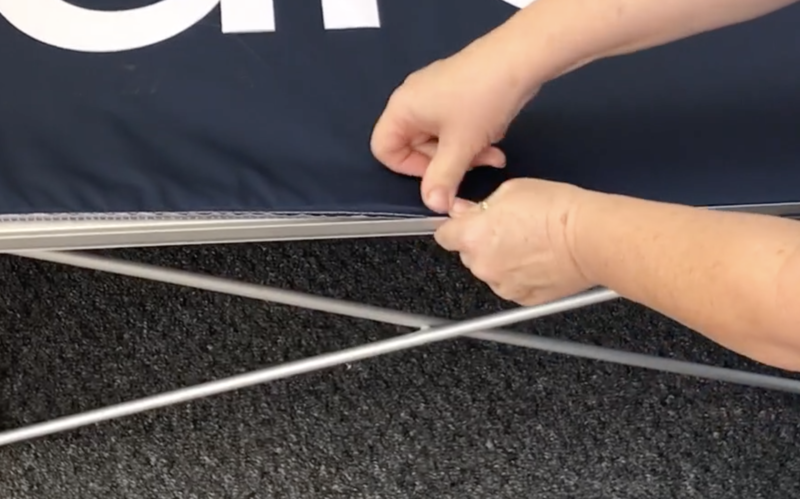 The stretch fabric has a silicone "beading" that easily pushes into the frame, stretching the fabric smoothly as it goes. This allows for a beautiful, clean look without hours of assembly. Can I buy a 10ft wall now and add on another later? The easy answer is "yes". 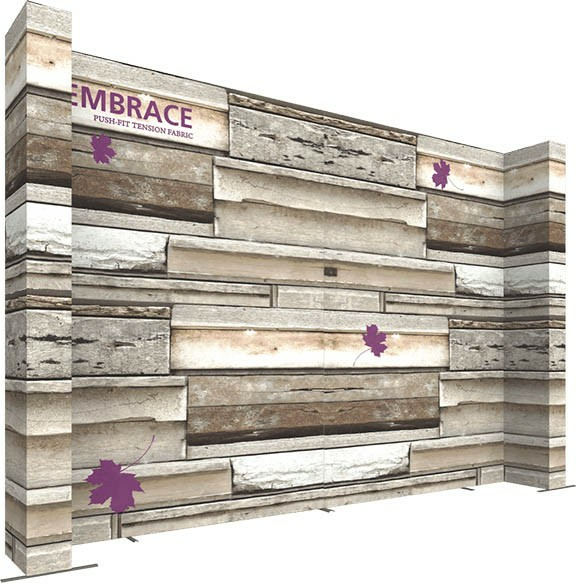 Embrace is modular, so you can add on to make your wall wider, taller, or change its shape at any time! The only caution would be if you are trying to match the graphic colors exactly on the add on walls. When we print on different runs, the colors can shift slightly. This can be remedied by designing the additional pieces strategically. Sometimes I need a banner at a table top show and sometimes I have a 10x10 booth space. What would work best? 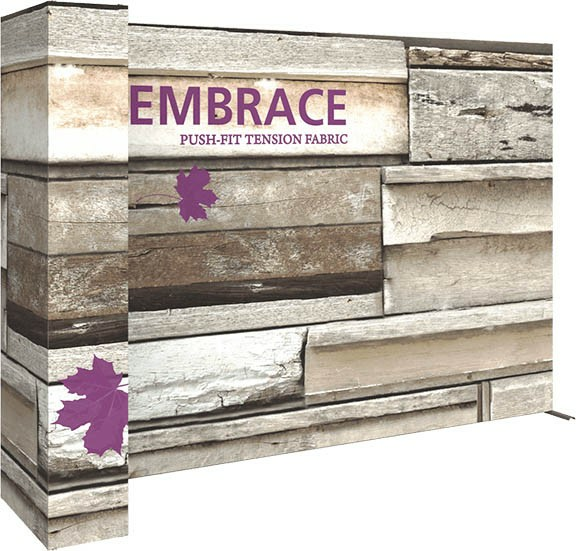 Embrace is available in standard floor widths of 2.5ft, 5', 7.5' and 10'. You could use two 5' walls and design them so that they work individually or together in a larger booth!